Riverfront Spokane, North Bank(Looff Carrousel, Ice Ribbon, SkyRide) Fireworks display launching at the Clock Tower. 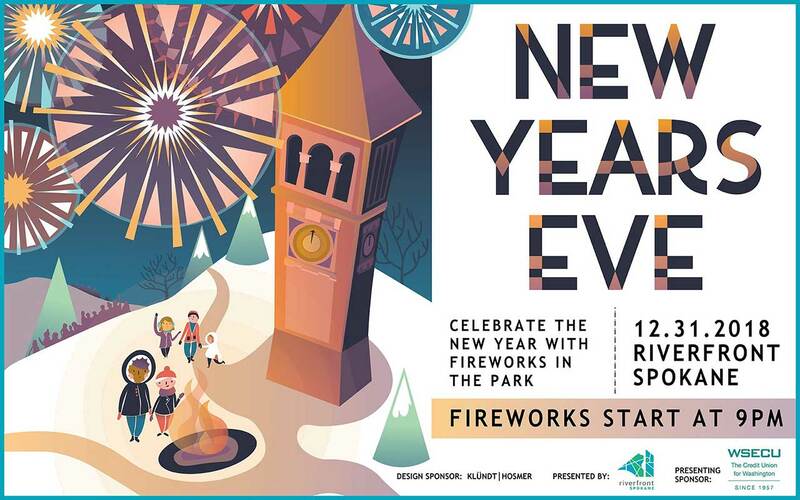 Countdown 2018 and ring in the new year at Riverfront Park. We will be counting down with the East Coast for a family friendly celebration. Ice Ribbon: 10 a.m. – 10 p.m.
Carrousel: 10 a.m. – 9 p.m.
SkyRide: 10 a.m. – 8 p.m.